I am frustrated and don’t know what to do. The other driver was driving her boyfriend’s car (he had insurance) but there was a coverage issue with her driving. For 2 months the claims adjuster would never call me back. 3 days ago I learn he is no longer working there, and my claim was handed over to someone else! She said she needed a copy of the summons and police report. It’s a negotiating tactic they use to wear down opponents. Delay tactics include switching adjusters, not calling you back, claiming they didn’t say what they said on the telephone. It’s all very frustrating, and very deliberate. Even though they are your adversary in a car collision case, the insurance company still needs the information about your wreck including medical records, medical bills, police reports, photos, etc. Holding back that information will only delay payment on your claim. Get that information to them and make sure you keep copies for yourself. Document everything in writing using emails or letters to the insurance company and keep copies. When the insurance company has something in writing, it makes it more difficult to weasel out of doing something on your claim. If the insurance company continues to play games, call an attorney. An insurance company pays attention to attorneys and their letters. If someone is authorized to borrow the car of another, then the auto insurance of the car owner will cover damages caused by the authorized driver if they do not have enough or any insurance. Sometimes, insurance companies play games and deny that responsibility. Don’t back down. This scenario is the exact reason why every Idaho driver needs uninsured and underinsured motorist coverage. 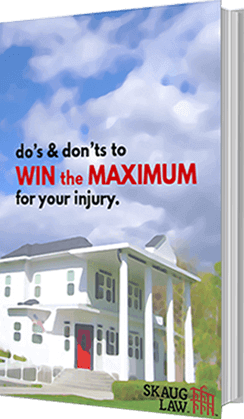 have enough coverage to pay for your injuries and damages. I don’t know about you, but I do not want to leave those decisions in the hands of someone else when my loved ones and I will have to deal with the consequences. Get these coverages with your own insurance. They do not cost much more and they provide protection from cases like this. You can speak with one of our attorneys for free on your first call if you have questions about your car wreck and injuries—or any injury. We will tell you where your case stands and the options available to you. 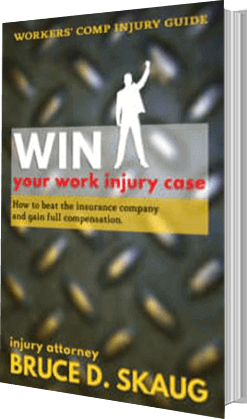 You can also download a free copy of our Wreck & Injury Guide. 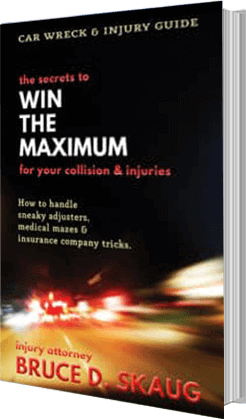 Visit www.skauglaw.com/wreckguide to download Sneaky Adjusters, Medical Mazes and Insurance Company Tricks.